Hyung Suk Seo, M.D., professor of neuroradiology at Korea University in Seoul, South Korea, and colleagues used magnetic resonance spectroscopy (MRS) to gain unique insight into the brains of smartphone- and internet-addicted teenagers. MRS is a type of MRI that measures the brain's chemical composition. "The higher the score, the more severe the addiction," Dr. Seo said. "The increased GABA levels and disrupted balance between GABA and glutamate in the anterior cingulate cortex may contribute to our understanding the pathophysiology of and treatment for addictions," Dr. Seo said. Materials provided by Radiological Society of North America. Extremely high levels of radiation have been discovered in a playground in Tokyo, officials said yesterday, fanning fears for the health of children in the area. Soil underneath a slide at the park in the northwest of the Japanese capital showed radiation readings of up to 480 microsieverts per hour, the local administrative office said. "Many children play in the park daily, so the ward office should explain the situation," Kyodo News quoted a 62-year-old local woman as saying. 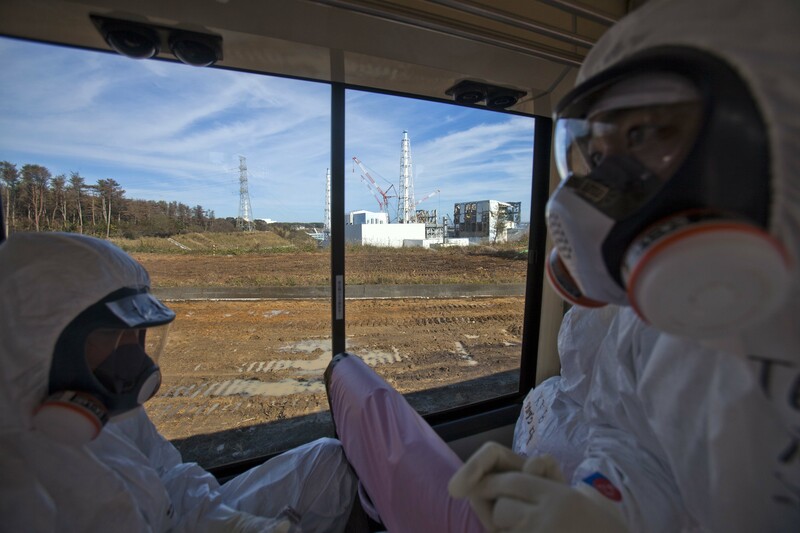 The radiation level is over 2,000 times that at which the national government requires soil cleaning in areas around the Fukushima Daiichi nuclear plant, where reactors melted down after the March 2011 tsunami. That standard, however, is for measurements taken at 0.5 to 1.0 metre above ground, while officials in Tokyo's Toshima ward checked the ground itself. Officials were made aware of the contamination after a local resident reported it on Monday and say they do not think it is connected to the disaster at Fukushima. "Because the area in which we detect radioactivity is very limited, and readings in surrounding parts are normal, we suspect radioactive materials of some kind are buried there," local mayor Yukio Takano said in a statement. The park was built in 2013, two years after the Fukushima nuclear crisis, a local official said, on what was previously a parking lot for Tokyo's sanitation department. Top soil at the lot was replaced before the land was turned into a park, said the Toshima official. The park had been sealed, and Toshima ward was discussing with experts how to approach the problem, she added. Many families in eastern Japan continue to survey the levels of radioactive contamination around their houses, distrustful of government assurances that most places had not been affected by the Fukushima nuclear meltdown. Such efforts have led some people to discover radioactive materials that had been dumped in their neighbourhoods. The park incident came days after a small drone showing traces of radioactivity was found on the roof of the prime minister's official residence.